Having a personal touch email sequence is NOT knowing everything about your leads. It’s also not just using their name over and over again. So, what is it? Data. Too many times we boil down personalization into [First Name] and [Company Name], but that’s not how you’re going to hack cold email. If you really want to see gains in your response rate and the number of conversations — it’s going to take more data. But we’re not just going to talk about the kinds of data you need on your leads going forward. We’ll also be taking a look at the best ways to apply and use the intel in order to really entice people to open, read and respond. The reason I feel it necessary to include this is simple. All the personalization in the world won’t fix a poorly constructed cold email. We’ve put together a lot of content on these topics, but here are a few that can help you construct a fantastic email and offer to put in said email. It’s quite possible the most talked about item in the email sphere. Why? Because it’s the gate keeper to the mind of your leads. If you can’t entice the person seeing your email to open up and take a look at what’s inside, you can’t get them to respond. No response means no conversation; which means no opportunity to close. Pretty sure you get the idea. We’ll be spending a lot of time on this particular aspect of cold email. Personalizing the subject line in the B2B space is NOT about using the lead’s first name. In fact, you’ll likely want to email a few contacts within the same brand—which means you should use something related to the company or industry they’re in. Here’s what to do instead. We’ve used this to generate some decent open rates. Instead of something that relates to the contact, make it relate to the needs of the role or business. Here’s an example that an agency may use. Bad Subject Line: Having trouble with your website, [first name]? Better Subject Line: An issue with the [Company Name] website. In this case, not using the name of the contact is MORE personal than if we had. Why? Context. It’s likely that this person is the owner of the business. Someone noticing an issue with their website is going to generate more curiosity (pressure, really) to take a look and correct the issues. From a copywriting standpoint, this gets the lead in the mindset to find and squash issues — making it an easy transition for our example to give them a checklist of common website issues. Sometimes you don’t need specific data points to get an open. Yes, names of contacts, companies, and competitors are entirely necessary for the email. However, it may not be what you need to get them into the email itself. Sometimes, it takes understanding what your leads are thinking about and speaking to those thoughts. One way we’ve seen this work? Imagine if you’re a HR exec and you get an email that says, Open Enrollment Violations. And inside, it’s not that your company has a violation, but there is a comprehensive look at new violations in the upcoming open enrollment period—along with tips to train your reps.
That would likely get a click. Ok, so my pain point example included a little bit of seasonality. You wouldn’t send an open enrollment email in April, but it would go nicely from September (before it starts) all the way into the New Year. Using certain times of the year to peak your open rate can be a good idea, depending on your target market. For instance, local agencies could speak to small businesses about how to improve their digital outreach during festivals, busy times, and peak tourist seasons. Say you’re an agency that can help improve the online reviews of local small businesses in a touristy area. Using a bit of personalized data, the subject line could read: Is [Company Name] a tourist trap? If your personalized subject line does the job, you’re not quite there yet. Nowadays, most email providers give the user (your leads) a one-sentence preview into your email. If your subject line is the guy standing outside the circus tent, this one sentence is a sneak peak behind the curtain of your main attraction (e.g. the email body). If your subject line is writing checks that your email can’t cash, this one-liner will let leads know. You don’t want to promise them something as awesome as say, a Jean-Claude Van Damme movie only to have them find out it’s Hard Target and old Jean-Claude is punching a snake. After you alert and entice them with the subject line, it’s important to follow it up in the first sentence. Let’s break down that HR example from earlier. Business: It’s a consultant who helps HR execs train and update their reps to ensure that legal errors don’t occur. Resource: The consultant puts together a really snazzy PDF with all of the updated requirements for the current year along with tips for training reps.
First Sentence: Hi, [First Name]. I was looking at the Human Resources information on the [company name] website… (the preview pane likely won’t include more than this). Many B2B’s will absolutely nail the subject line, but have abysmal open rates. Why? The first sentence is usually off. Instead of our example, it’s like: My name is John Doe and I help HR execs get ready for Open Enrollment. What You offer in your email should NOT be what you sell. That’s why I put the “Resource” in our example. To finish out this section of the post, I’ll give you a template a full template for our example. I was looking at the Human Resources information on the [Company Name] website and was wondering if you’ve made the updates for this year’s new regulations? If not, I’ve put together a quick reference resource for companies just like [Company Name] that explains each new procedure and regulation along with 7 tips to help your HR reps better understand how it will effect their roles in the upcoming enrollment. I’d love to hear your feedback, [First Name]. Just hit reply and let me know your thoughts. P.S. Don’t want to receive any further emails? Let me know! Should I be speaking to [Alternate Company Contact] instead? Let me know that, too! Each separate email in violation of the CAN-SPAM Act is subject to penalties of up to $40,654, so non-compliance can be costly. Ok, you have to include an opt-out in the first email you send. But, it’s not all bad. Most people use the Post Script (aka P.S.) of their emails to pitch a whole other offer. If your body was a HR guide pitch, the P.S. is a webinar invite or something. This doesn’t work. Instead, use this area for the required opt-out + a potential internal referral. If your lead data is good, you should have alternate contacts within a brand. Obviously, if you’re dealing with small businesses—this might not be the case. However, if you’re dealing with our HR example, you very well could have the wrong person. You know the saying, “You never know until you ask”? It’s true. Notice the P.S. I included in the example template above. If you don’t have that data, you can use the following alternative to help you. P.S. Don’t want to receive any further emails? Let me know! Not the right person to speak with? Let me know that, too! Essentially, you’re avoiding a $40k+ fine, but also turning lemons into lemonade. 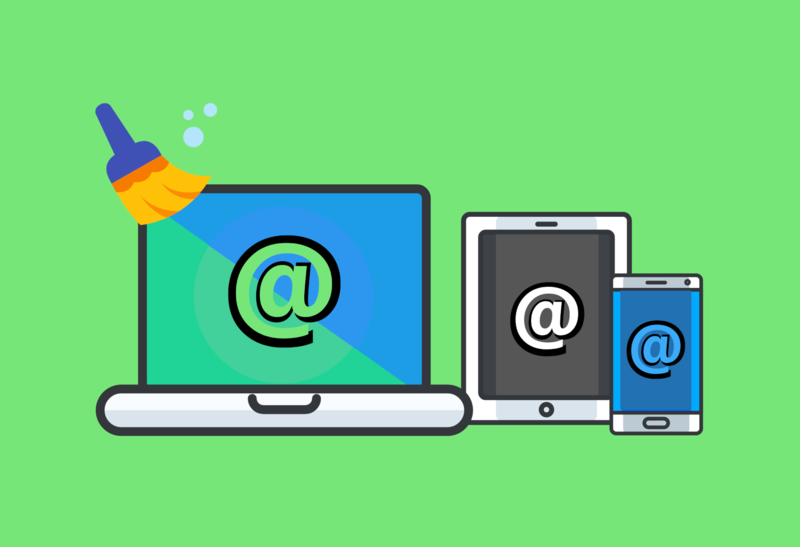 Ready to Include a Personal Touch in Your Email Sequence? I really hope these tactics are useful. We’ve found them to be genuinely effective in our (our clients’) outreach and fully believe they can help anyone with the right offer and email copy. Remember to test these and other personalization strategies and hone in your outbound efforts until you’re seeing the gains you know you should be. Let us know which strategy you like best, or any tips you’re using for a personal touch email that’s getting results.